Hi. 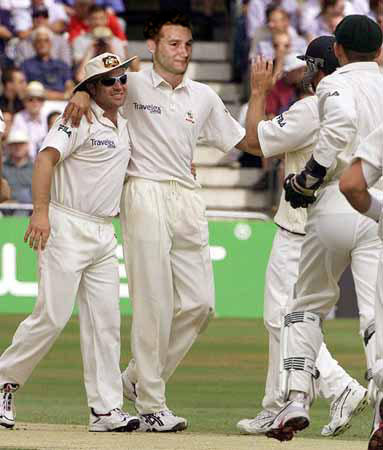 This is my page dedicated to Dane Bowers, solo artist, TV presenter, fashion icon and all round good guy. There are a lot of people who criticise Dane (because he's so successful) but I think he's great! People who make fun of Dane are nearly always fat. Dane first came to public attention as part of 'Another Level', a high- profile teen boyband of the late nineties. The band had massive hits, mainly due to their heavenly close harmonies, raunchy R'n'B beats, and Dane's meaty charisma. Hit followed hit, and along with fellow band members Mike, Dave and Siszlak, Dane was riding on the crest of a wave. But waves must fall like dominos. Like dominos of doom. 'Another Level' split up, and the boys went their separate ways. Dane licked his wounds (yummy!) and bided his time. The pop market was fickle and devious, and Dane knew that though he was down, he was far from out. Like a dazed prizefighter, Dane could almost hear the referee counting him out. But he fought back. Returning to his dance roots, Dane laid down guest vocals on a club hit with the garage masterminds 'Truesteppers'. Suddenly Dane was hotter than ever, shaping up like the global superstar I always knew he was! Nowadays Dane splits his time between his TV work, his animal sanctuary and his music. A star that burns bright is never forgotten. The world of R'n'B is still dreaming of the sleeping Dane giant. 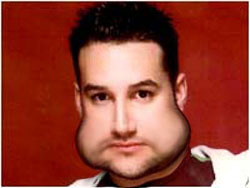 Having been bitten by a radioactive blowfish as an adolescent, Dane can inflate his face to huge, disfiguring proportions. But he rarely inflates his face in public because he is true and modest. Beat that, Ronan Keating! 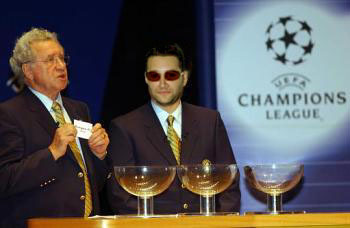 This is a photo of Dane making the draw for the 1st round of the Champions League (2002). Dane is a big fan of Barcelona Football Club and has often been to the Nou Camp, but he refuses to be drawn into a debate about the possibility of political autonomy in the region. Unlike many popstars Dane is politically responsible. 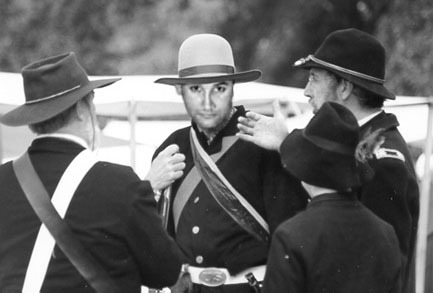 In his spare time, Dane likes to take part in re-enactments of the American Civil War. Although he abhors war, he loves pageantry and tradition. He believes that the highest form of artistic expression is musical theatre. In 2005, Dane will be releasing a new album entitled "Telling it Straight". Dane says the album is "a mixture of R'n'B and hip hop, but there's also some rap in there. It's like Al Green, re-imagined by Marvin Gaye." 2004 was a quiet year for Danophiles, but it looks like 2005 will be a bumper year. Come on Dane, show us you're still the top dog in the UK (and the world! )!